Our demolition and construction work doesn't just start and end with a building...we are just getting started! We offer sewer and water services too. 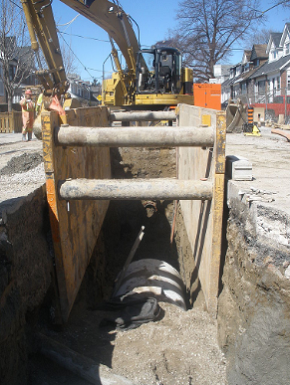 The experience under our belts allows us to install both commercial and residential sewer and water lines. On top of that, we take care of the smaller projects that need some kind of a repair. The city of Atlanta has in many cases asked for our help, to take care of some kind of broken pipe, or to install new water lines in the place of older ones. But this work has also been done for private owners too. So regardless if it's a government or a private project, we are able to assist you: not only with our equipment which is the most advanced in Georgia, but also with our knowledge and consultation. Come down to our offices and let's have a discussion about how we can help bring that sewer and water line to life. 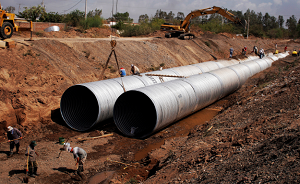 When we say that we can take care of any sewer & water project, we mean it. No matter if it's demolishing existing pipes and water structures, or even doing excavation work and regardless of whether you just need us to go to the drawing board and just offer you consultation. Really, whatever it is you need, we can take care of it. We would much rather do the job ourselves because we understand demolitions and restructuring of water lines. But if getting consultation is the only thing you would need from us, then so be it: we would love to help you out! Even if the job is more technical and you need us to work on the installation of water retention structures, we can also do that. We want to be as flexible as possible, because there are a lot of moving parts. So not only may a job only require something more specific, but you may only want our services and expertise for a more technical part. That is what we are saying: we can fill in all your needs and wants, regardless of how tough they appear to be or how "small" they imagine: there is no job that is too small or too big for us. Bring it on! I mean it's not about the size of the project, it's not about finding a greater challenge in the demolition industry: it's about making an impact. 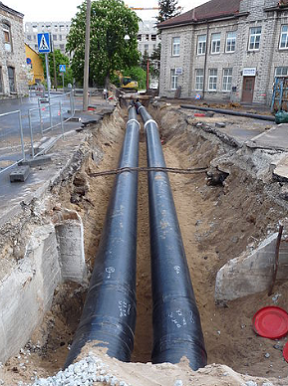 Water lines are really a few of the most valuable assets to society. So making sure a good job is done, is essential for the well being of so many. Think of how pissed off you get when driving on the road, and they've cut up the road in half again to rework on something that should of been done right the first time. If we all were more responsible in our own unique areas of expertise, we could live a more stress free life. And that is ultimately what we want to offer you. Doesn't matter if you are a city representative that is looking for a reliable demolition company, or even a resident that needs to take care of a small project right outside their home: you won't have a single headache nor anything to worry about. We pretty much will do the thinking for you, offering you the best advice and solutions to any problems (before and during the project.) Moreover, we won't cut off communications as soon as the project launches, but rather stay in touch and be consistent with updates. It is important that we are constantly staying on the same page, so that we avoid costly mistakes. Reach out to Atlanta Demolition Services to seek the advice and guidance you need.